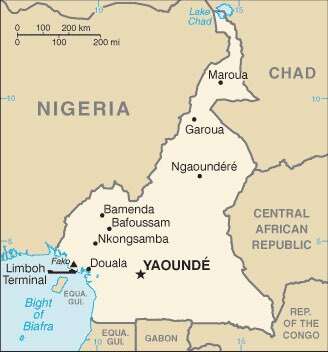 Cameroon : When and where to go? Cameroon experiences a different climate in different regions. In the north, rains are rare and scarcely sufficient for crops, but in the south-west they are much more frequent and abundant. The rainy season extends from June to September in the north, while in the south it begins with reasonable rainfall in March to give rise to gusts of water until November, especially in July and August . The warmest period is between March and May, with around 30 ° C in Yaoundé and 40 ° C in the north of the country. It is therefore advisable to choose the driest months to visit the country, that is to say between November and February, although during this period you will undoubtedly be embarrassed by the harmattan, hot wind loaded with sand of the Sahara , Resulting in very limited visibility and the possibility of flights and excursions canceled. This country on the Atlantic coast, with more than 16 million inhabitants, seems to contain by itself the diversity of the treasures of Africa. Composed of more than 200 ethnic groups that have preserved their traditions, offering national parks sheltering a rich and preserved fauna, Cameroon also possesses sumptuous landscapes very varied. You will first discover the capital Yaoundé, which has become a very lively metropolis, with museums (including the Museum of Cameroonian Art which is really worth a visit), a craft center, avenue Kennedy and all its shops, Many restaurants offering the national dish, grilled chicken. Try to attend an open-air mass in the parish of N'Djong Melen, with songs and dances punctuated by drums. In Ruhmsiki, on the border of Nigeria, you will explore the Kapsiki, rocky hills overlooking a volcanic landscape, enamelled villages of huts where peasants who grow millet terraces live. In the south-west of the country stands Mount Cameroon, an active volcano, which you can climb in two or three days, crossing first an area of ​​forests, then the savannah, and finally, on the other side Of the clouds, you will reach the top of the Char of the Gods. Do not miss Foumban the museum of the Royal Palace where you will learn about the history of this very ancient kingdom of black Africa thanks to a multitude of objects. As for national parks and reserves, there are several of them, all of which are of interest: the Bénoué park for its antelopes, crocodiles, warthogs, elk and buffalos, Wasa for elephants, giraffes, lions and various birds. To mention only two examples. Finally, lovers of relaxation can bask in the seaside resort of Kribi, with its beaches with white sand, and grow to the falls of the Lobe nearby. A visa is required (one month for a tourist visa, one year for a business visa) for entry into Cameroon, and you must have a return ticket. You can land directly in Yaoundé with Air France, but also in Douala. Taxis-brousses or minivans are inexpensive and fast enough to travel on the spot, and they are easily found, but for longer journeys you prefer buses or the train if you go to the north of the country: The latter is quite comfortable, inexpensive and faster than the car. There are also flights between Douala and Yaoundé, but the rates are high. To plan your budget, you will have to determine if you want to live in an African way or keep your European habits. If you adapt to local customs in terms of food, you will need a budget of 50 to 100 € daily, with simple but correct accommodation. Regarding your health, be aware that vaccination against yellow fever is obligatory. It is also recommended to treat malaria, and vaccines against typhoid, diphtheria, hepatitis A and B and meningitis. Drink only bottled water. As for security, the situation is still dangerous in the northern regions, and the rest of the country may also be subject to terrorist attacks, so alertness must be the rule especially in large cities, And in border regions.